Make sure you protect yourself and colds and the flu! Hey, you work hard. Sometimes you need to have some fun with friends. More time with others folks means more crowding and more contact with sick people. Beware of people harboring a cold or flu virus who don't even know they are contagious! Make sure to keep your distance from coughs, sneezes and sniffles -- at least six feet. Just remember whenever you’re in a group -- at work, getting together at a party, or attending a meeting or performance, or any other occasion that brings on close proximity to others, you risk getting sick. A cough or a sneeze propels aerosolized droplets loaded with viruses up to 6 feet or more. Even more important, shaking hands is a sure way to take on someone else's disease causing viruses! The best plan? Listen and watch for who’s coughing, sneezing or sniffling. And DO NOT SHAKE HANDS WITH ANYBODY. Just politely explain that you want to avoid spreading germs. Folks will thank you! Hand washing with soap and water is a key protection against spreading cold and flu viruses. But most people do not spend the time to wash their hands properl Take a FULL 30 SECONDS. Now count out loud one-one-thousand, two-one-thousand and so on to thirty. See? That’s how long it takes to do it right! If you even feel a hint of a cold -- sniffles, sneezes, coughing, the start of a sore throat, fatigue or body aches -- act quickly. 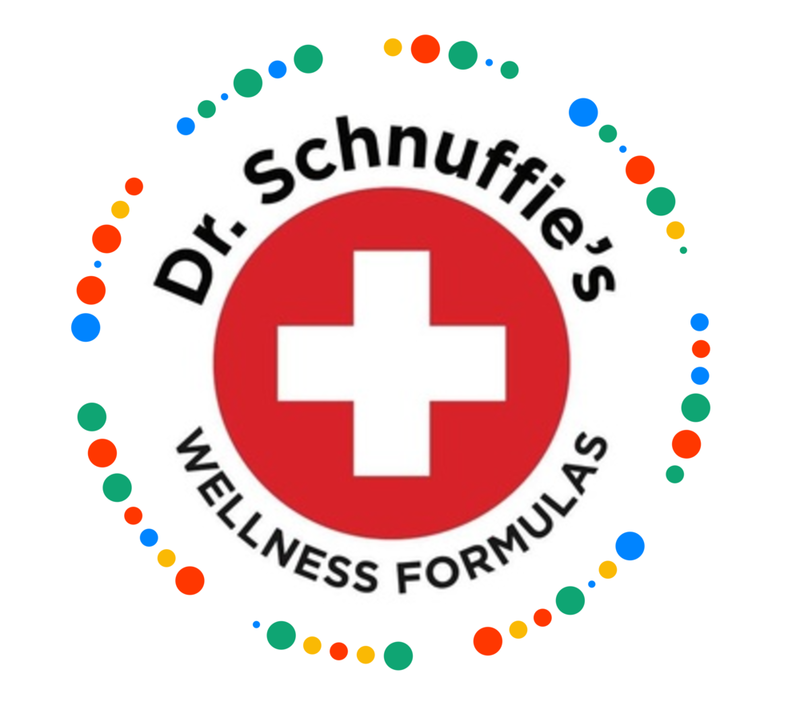 DR. SCHNUFFIE'S COLD AND FLU can act to neutralize viruses and help stave off a full blown cold or case of the flu. With safe, high potency doses of the primary immune boosting vitamins A and D plus zinc, th pre-eminent immune boosting mineral. With a solid dose of the non-irritating buffered form of vitamin C and a well thought out, supportive blend of time honored infection fighting herbs. Start out with two “SCHNUFFIES” twice daily. You can safely continue a 2 tablets twice daily for the complete bottle - over 7 days. NOTE: ALWAYS TAKE DR. SCHNUFFIE'S WITH. Vitamins A and D are both fat soluble vitamins which means they are not fully absorbed unless you take them with a meal or snack.